Another day and more amazing prizes to be won! On Day 5, HEXUS is giving you the chance to win one of three Fire HD tablets. This 10.1in device is the largest and thinnest Fire tablet to date and packs a quad-core MediaTek processor based on ARM technology. The competition winner will be picked at random from all eligible entries that arrive by midnight of the closing date, December 18, 2015. The winners will be notified via email by December 25, 2015. The winner must claim their prize within 7 days of the promoter sending notification. If the prize is unclaimed after this time, HEXUS reserves the right to offer the unclaimed prize to a substitute winner selected in accordance with these rules. 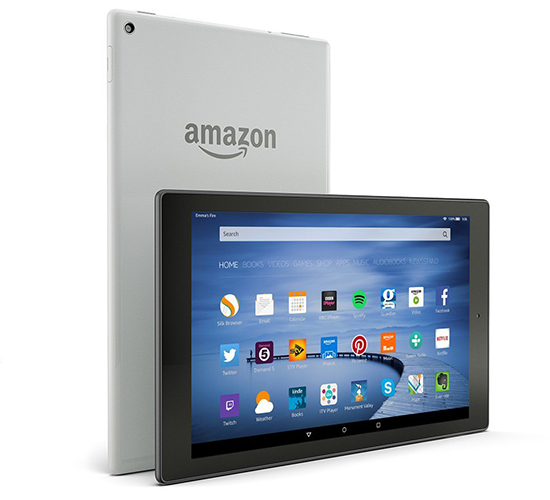 The prize is a one of three Fire HD 10 tablets. This would be a great prize for my son so that we could keep in contact using Skype from opposite ends of the country.